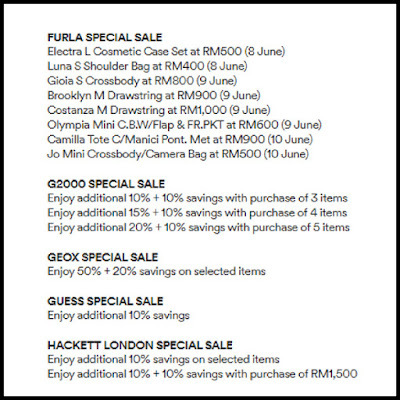 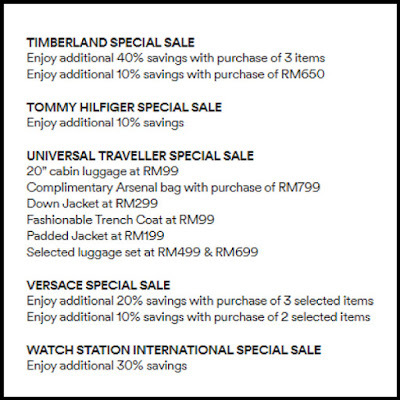 Do you want to shop exclusive items for Hari Raya Aidilfitri and are waiting for the special offer? 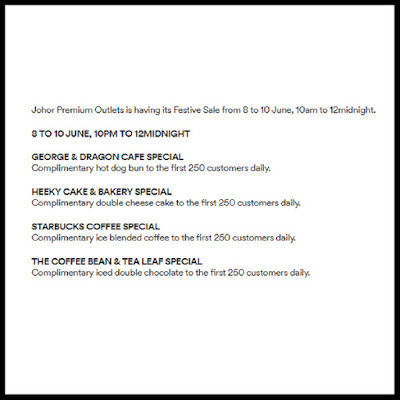 Don't worry as your prayer has been answered! 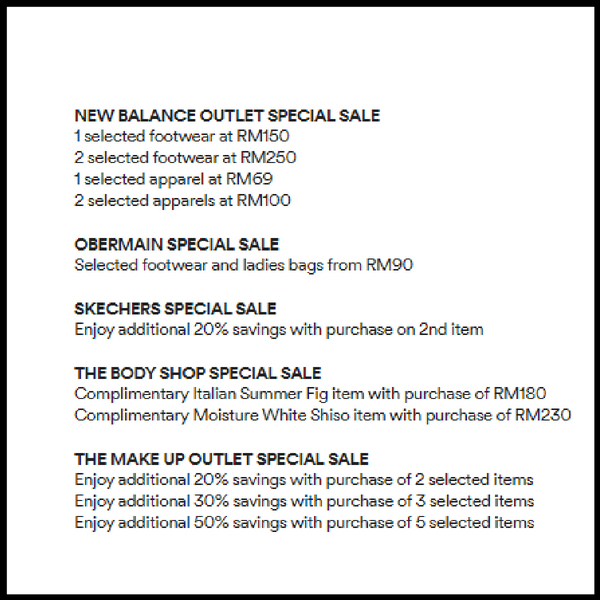 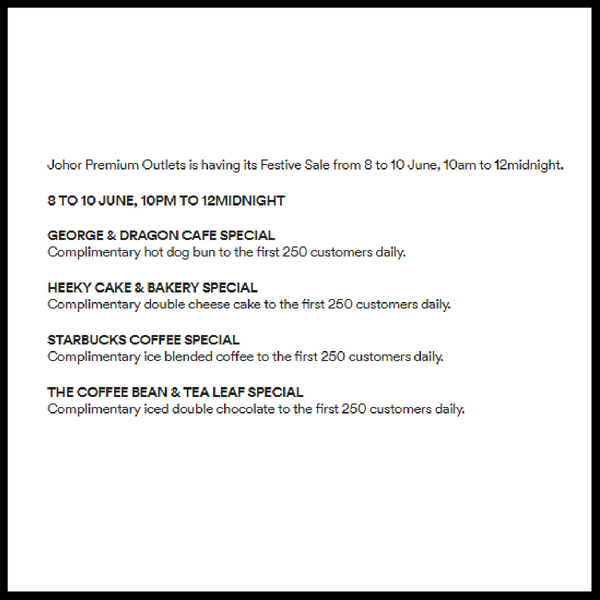 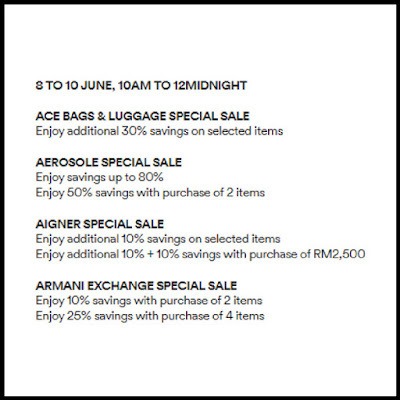 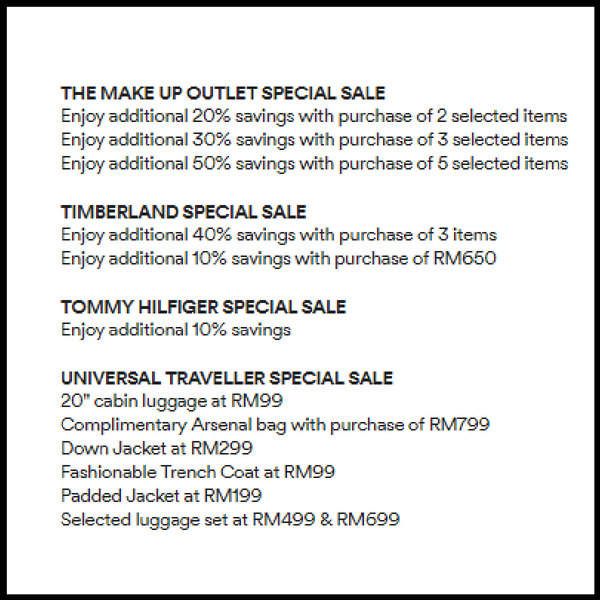 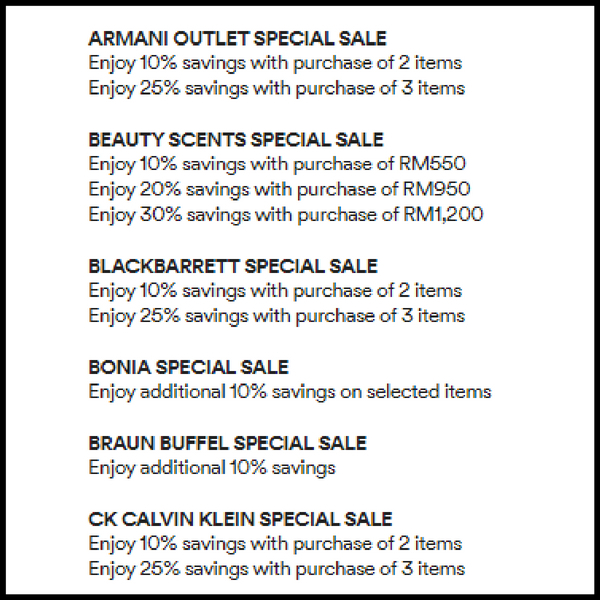 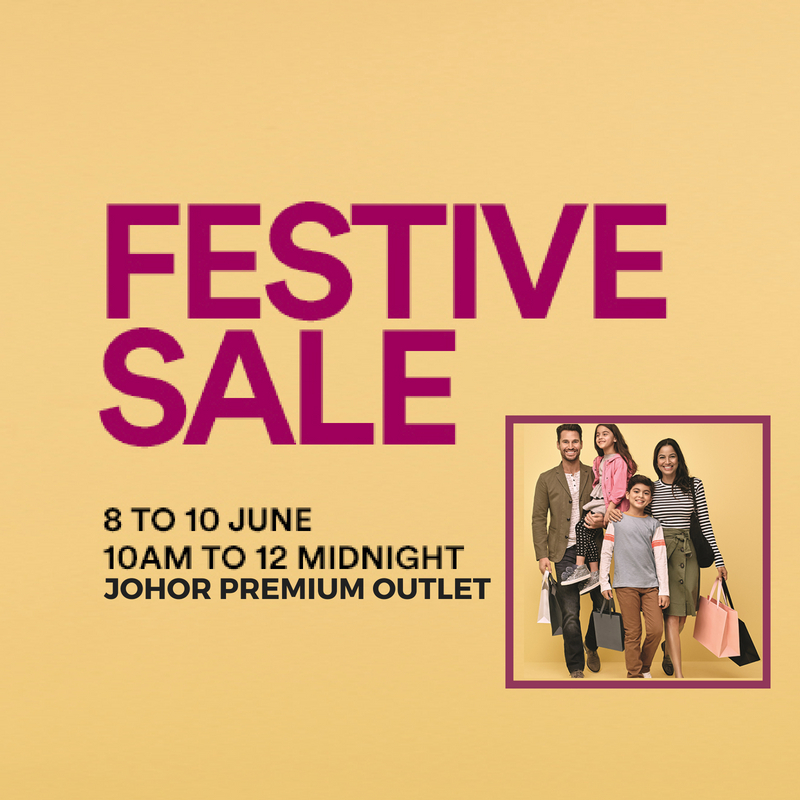 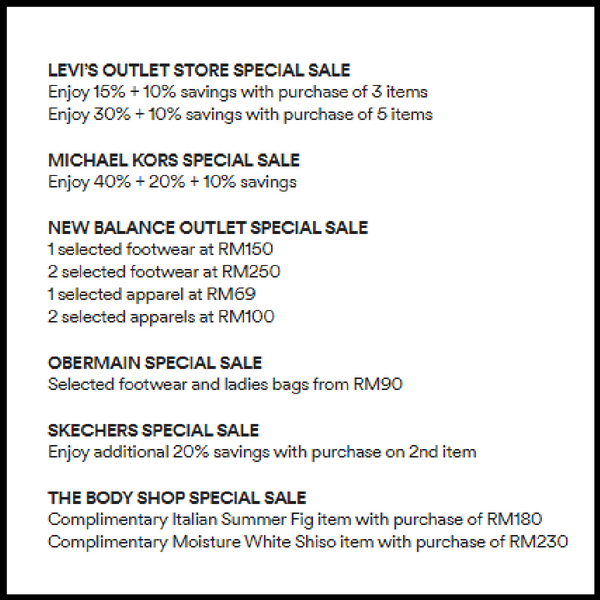 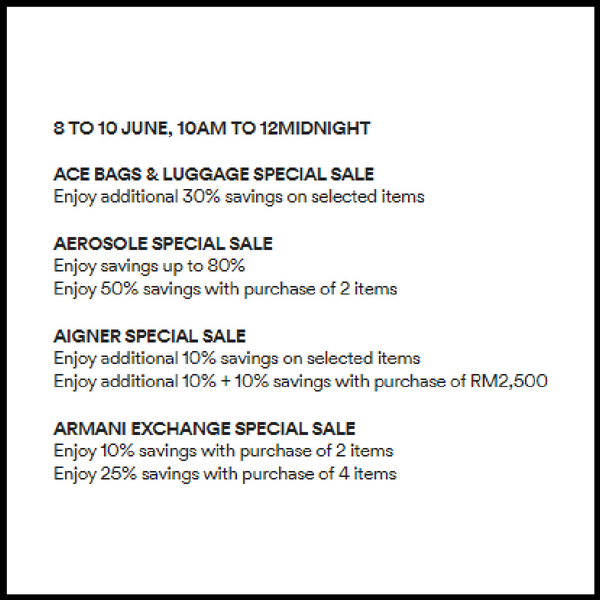 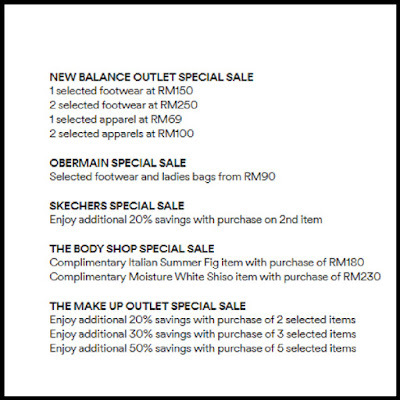 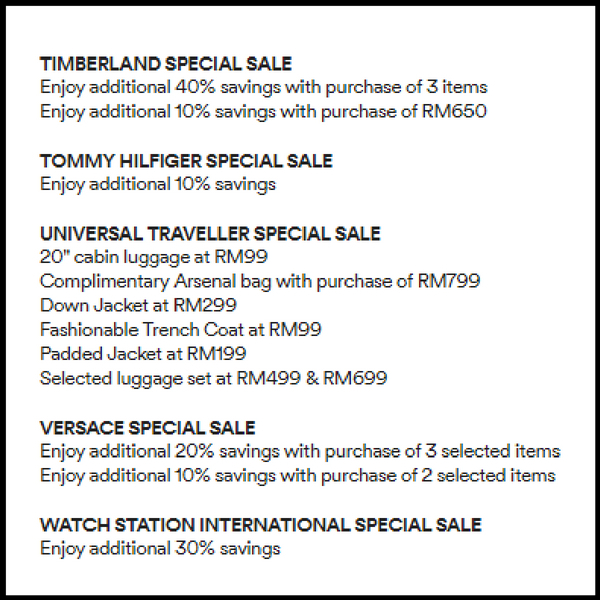 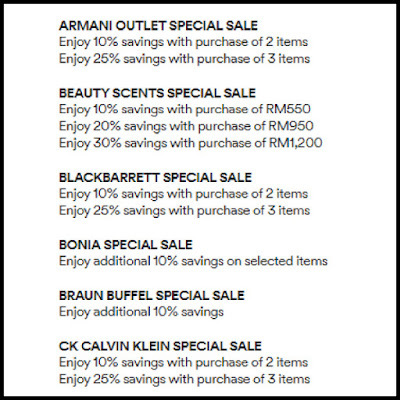 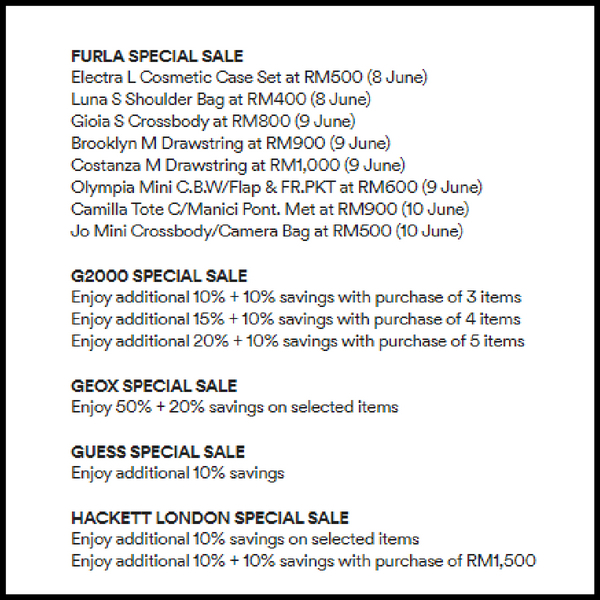 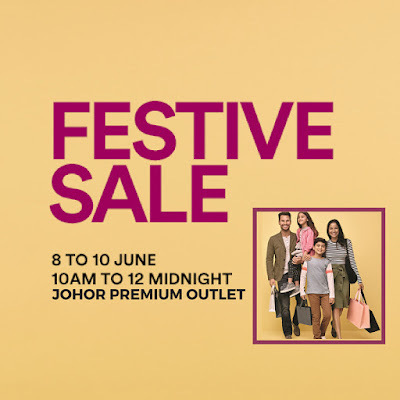 On 8/6/2018 until 10/6/2018, Johor Premium Outlets is doing a Festive Sale which includes all the shop in giving massive sales for the consumers that come. 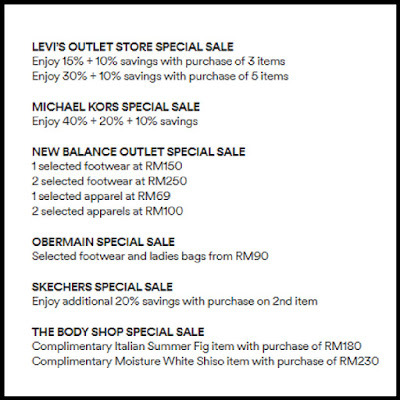 Below is the list of the shop that is giving promotion.